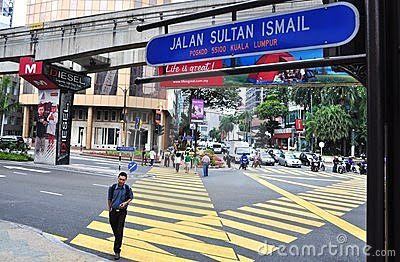 A picture of Jalan Sultan Ismail, as taken from from online. I read an article in The Star today entitled "Jalan Sultan Ismail projects will unlock value in the prime location in KL" - well, to summarize it, the article basically tells of how the various redevelopment projects along Jalan Sultan Ismail will unlock the value of the few prime locations in the heart of Kuala Lumpur. PNB, which took over the MAS building in 2006, will demolish the podium of the building and then build a 50 storey hotel tower - and subsequently refurbish the 35 storey office building on the site. 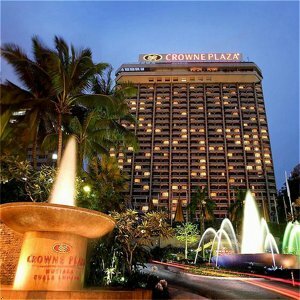 Further down the road, Tradewinds Corp Berhad is going to redevelop Crown Plaza Mutiara Hotel and Kompleks Antarabangsa into a massive mixed development project, called the Tradewinds Centre. So many billion dollar projects - and perhaps there will be much more along Jalan Sultan Ismail - including the YNH development, the possible redevelopments of Menara Haw Par and perhaps... Shangri-la? Who knows what Hap Seng will put on their Mercedes Benz showroom plot as well. All these, will surely and definitely upgrade the entire Jalan Sultan Ismail - and will ultimately create a fresh new investment opportunity for various industries, developers, home buyers and much more. Rahim & Co also mentioned about a better yield and returns to properties along Jalan Sultan Ismail. If you ask me, I am a firm believer in development and yields, as well as capital appreciation. Developments along Jalan Sultan Ismail, Jalan Ampang as well as Jalan Bukit Bintang will never go wrong - in fact, it can only get better and allows for much better value in the near and far future. I am not saying this because we have two developments coming on Jalan Ampang - but truth is, I am a firm believer and I am confident of this three roads - and I will be looking at more redevelopment projects and proposals in this area.